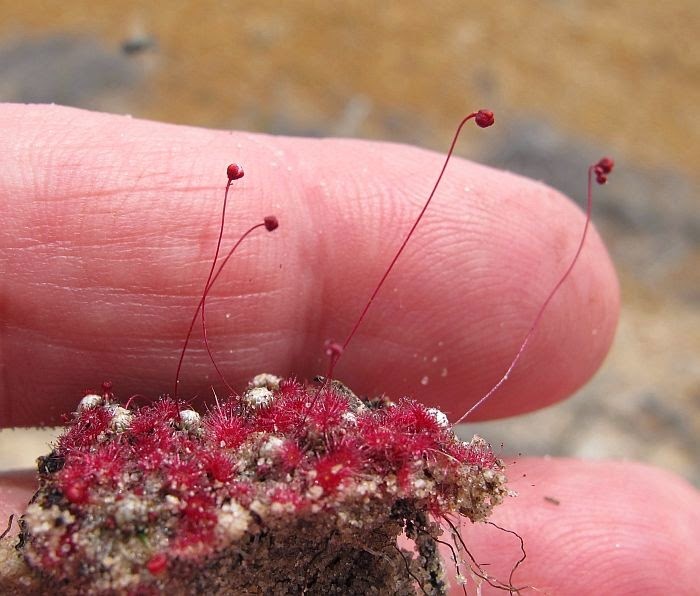 This pygmy Drosera is currently known as Drosera occidentalis subsp. australis, but I prefer to go with Allen Lowrie (an Australian Drosera Authority) with his listing in his large and highly detailed 3 Volume work titled “Carnivorous Plants of Australia Magnum Opus.” In it he regards subspecies australis, as a distinct species and of which I concur can be very common along the south coast from Augusta to Israelite Bay (east of Esperance). 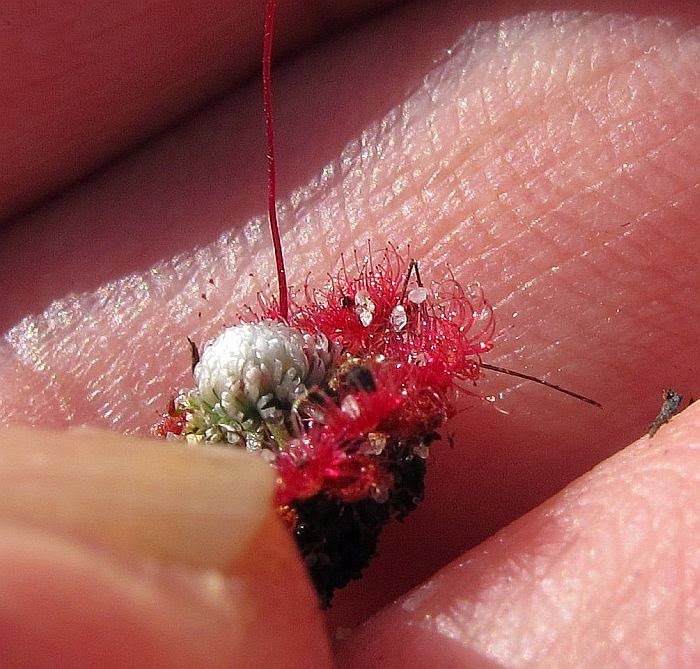 Locally it occurs in sandy soils, sometimes with a high humus content in light seepage areas, or the moist soil just above inundation zones, where species like D. pulchella commonly occur. 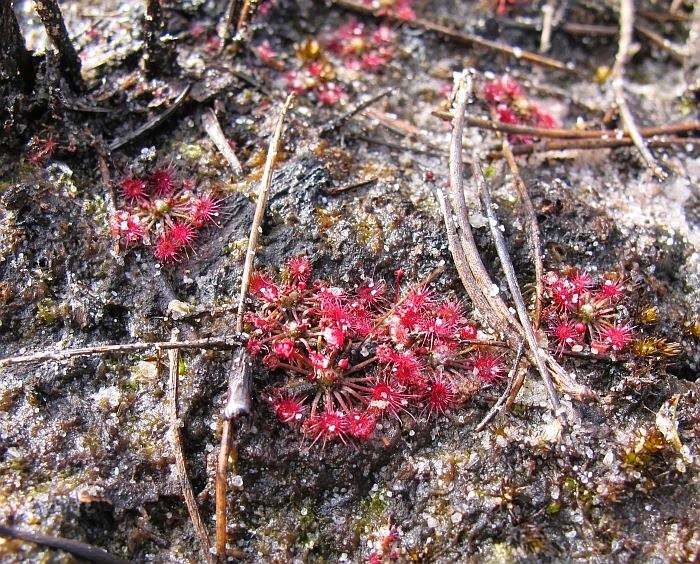 Lowrie now places Drosera occidentalis, which is a very similar species along the west coast either side of Perth and spiking SE to the Gnowangerup region (north of Albany), so well outside the Esperance region. 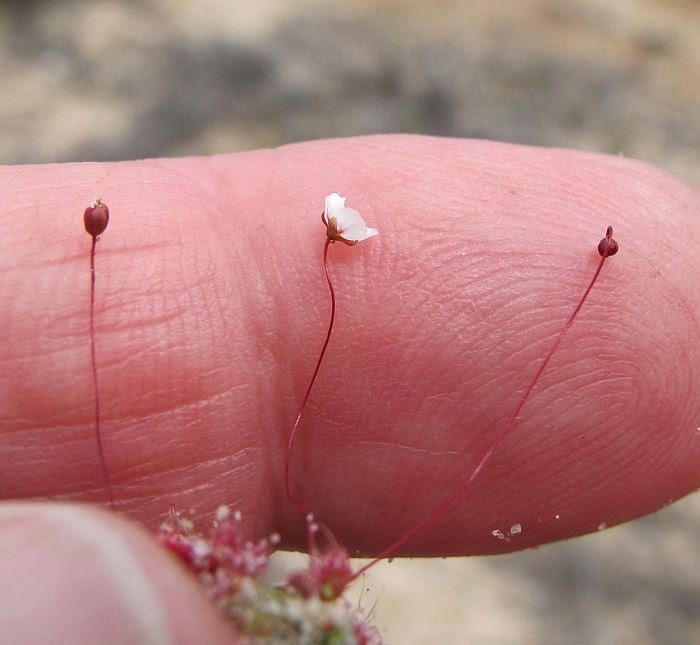 In the Esperance district, Drosera australis usually has only one, occasionally two or three flowers, but apparently plants further west with better growing conditions can have several. 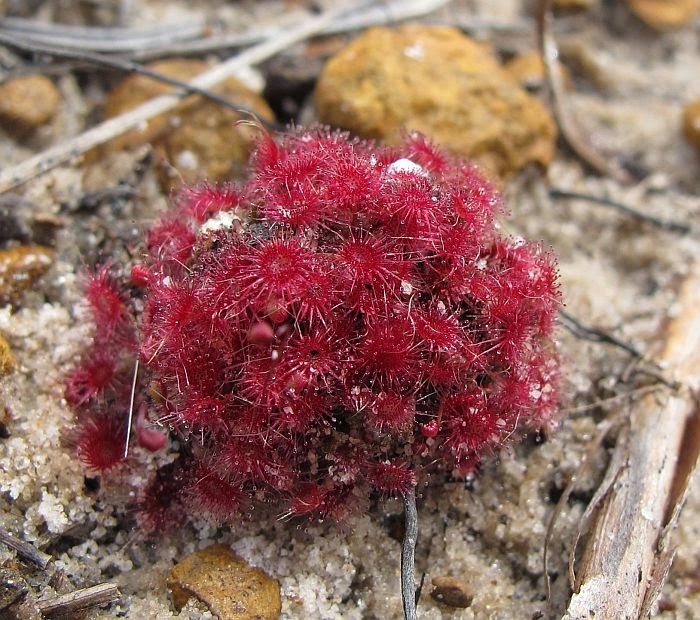 The deep red leaf rosettes are mostly less than 2 cm and usually around ½” diameter, although they can congregate together to produce much larger clumps. 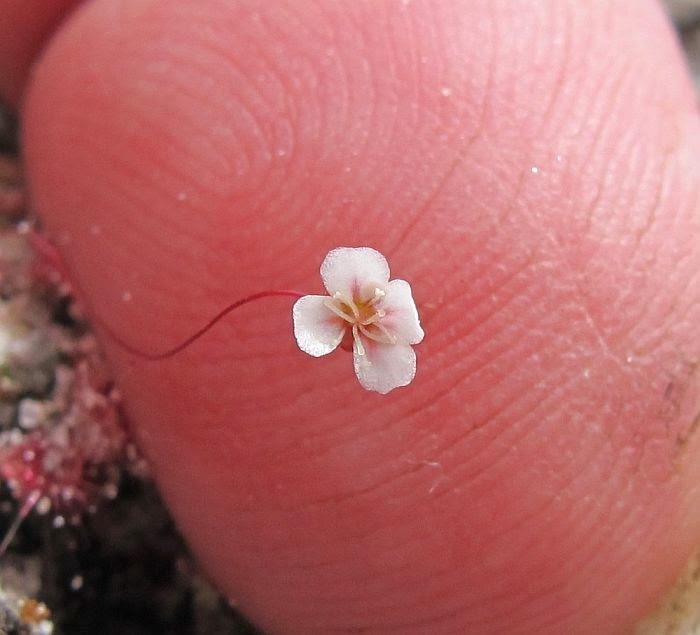 The small flowers (to 5 mm or 3/16” diameter) are very shy bloomers and have 5 petals (the one shown above had lost a petal) and flower between October and January.